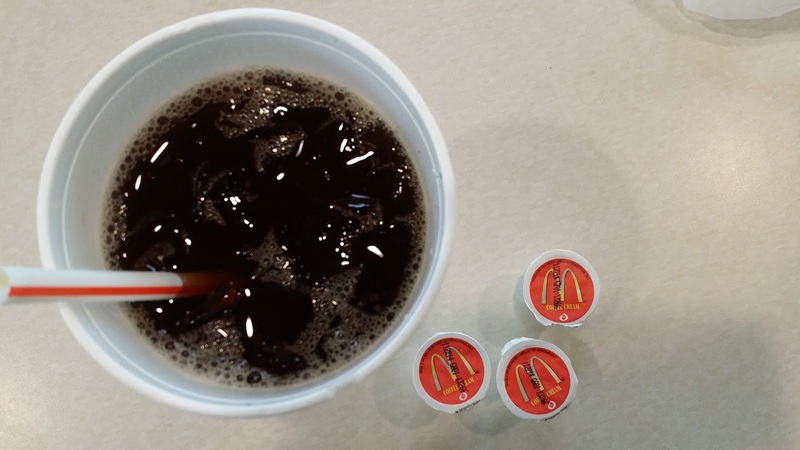 CHEAP MILK TEA FROM MCDONALDS - EAT WITH HOP! THE CUP USED TO BE SUPER SUPER BIG. BUT THEY DOWNSIZED IT. NOT A BAD DEAL STILL THOUGH! VOILA! 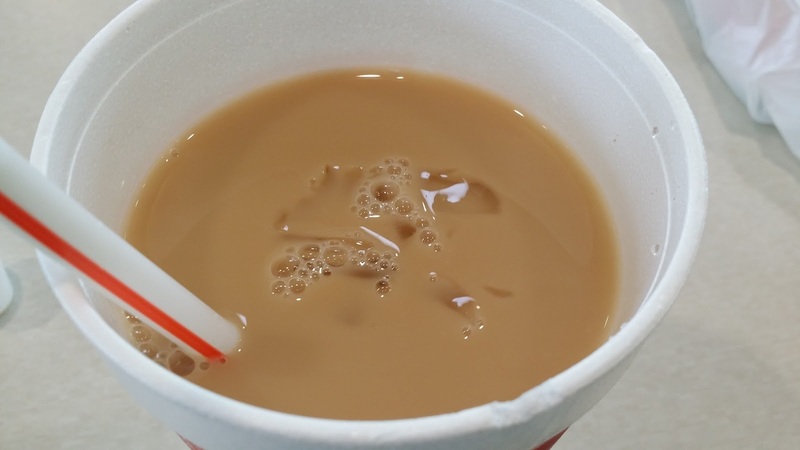 IT'S SWEET TEA TURNED INTO MILK TEA! 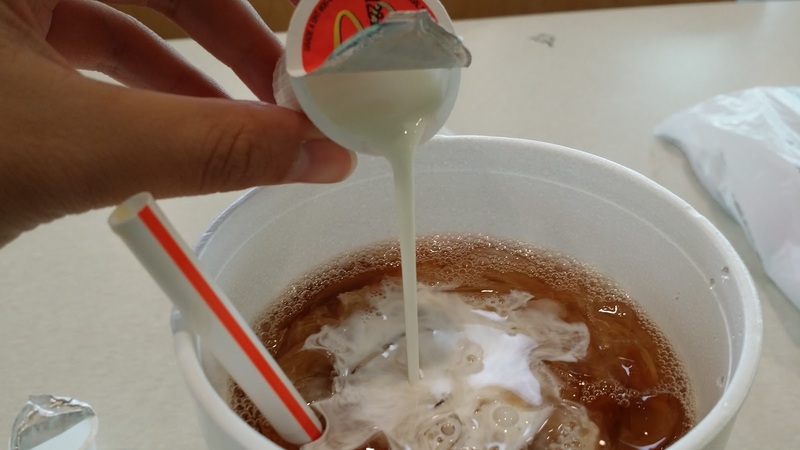 Once upon a time, when I was a poor college student and would have typical milk tea cravings that any person that lives in the heart of Little Saigon would have, I'd go to Mcdonalds. 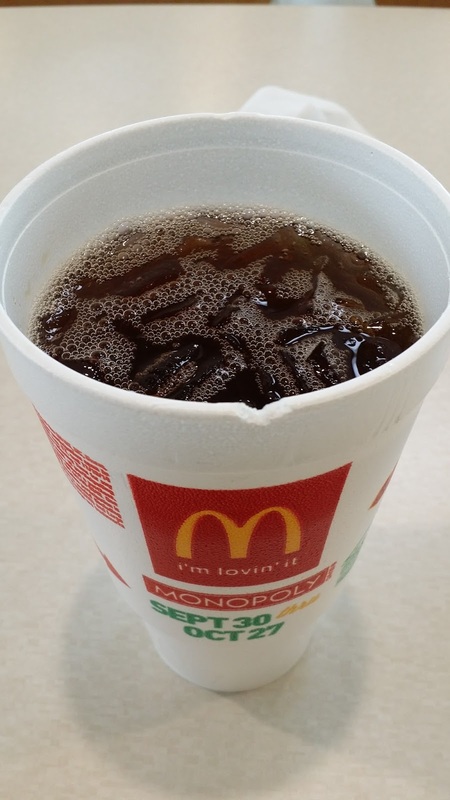 At that time, the Mcdonalds Sweet Tea drnk had just debuted and it was only $1 for a gigantic size! For some reason, I never realized that the Milk Tea sold at all the boba shops is literally just Milk + Tea (usually Half + Half). Thankfully, a good friend of mine told me this and I started going crazy getting milk tea all the time. After all, it was only $1.08. 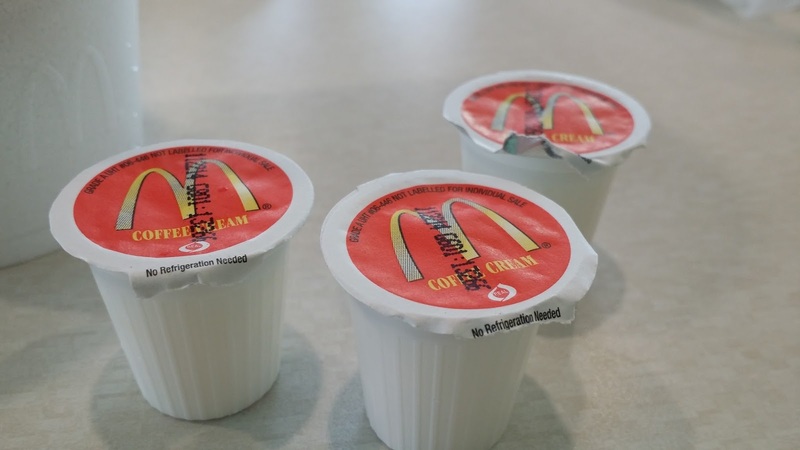 Apparently, the Mcdonalds at the Garden Grove location caught on and started charging 25 cents for each creamer. Usually I'd get 2 creamers but that's still less than $2 for a gigantic cup of milk tea! 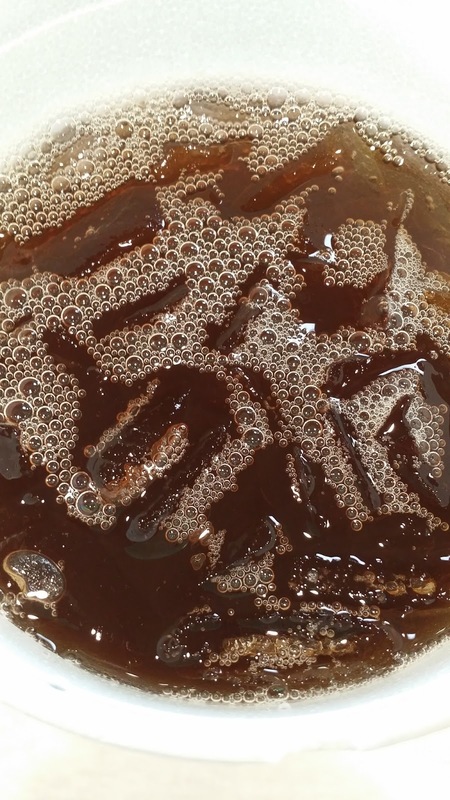 Other locations actually made weird faces when they'd see me mix the creamer into the tea. I'd explain to them that it's what the boba shops sell but without the boba pearls. My favorite location to get it at was the one by Orange Coast College (Who else used to go here?!) on Harbor Street in the same plaza as Chipotle because they had their Sweet Tea dispenser out so that I was able to get free refills on my milk tea. Hell yea! The last time I got this cheap concoction was almost exactly one year ago in October, 2014. Why do I remember this?! Well my photos have the date on them. Although the cups became smaller the taste still remains the same: delicious. 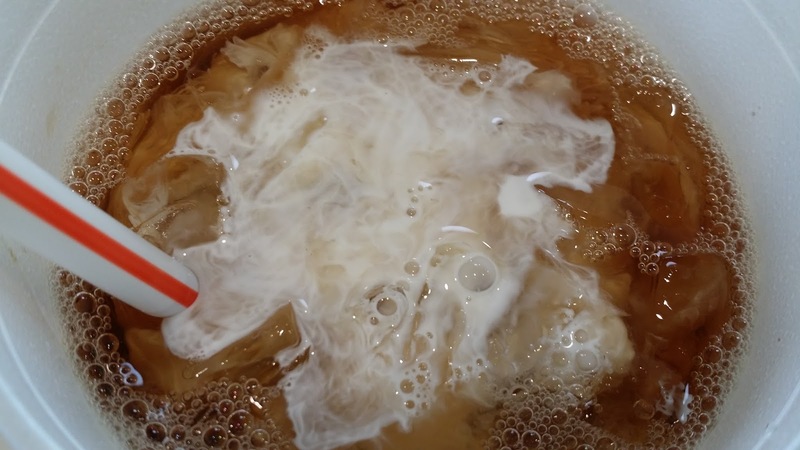 It's such a cheap way to satisfy your milk tea cravings! I remember half a decade ago when I told all my friends about this idea. They all told me they got addicted! All it's missing are the tapioca balls! But, is it still just $1?! This is such a good hack! I always have a craving for milk tea and boba.